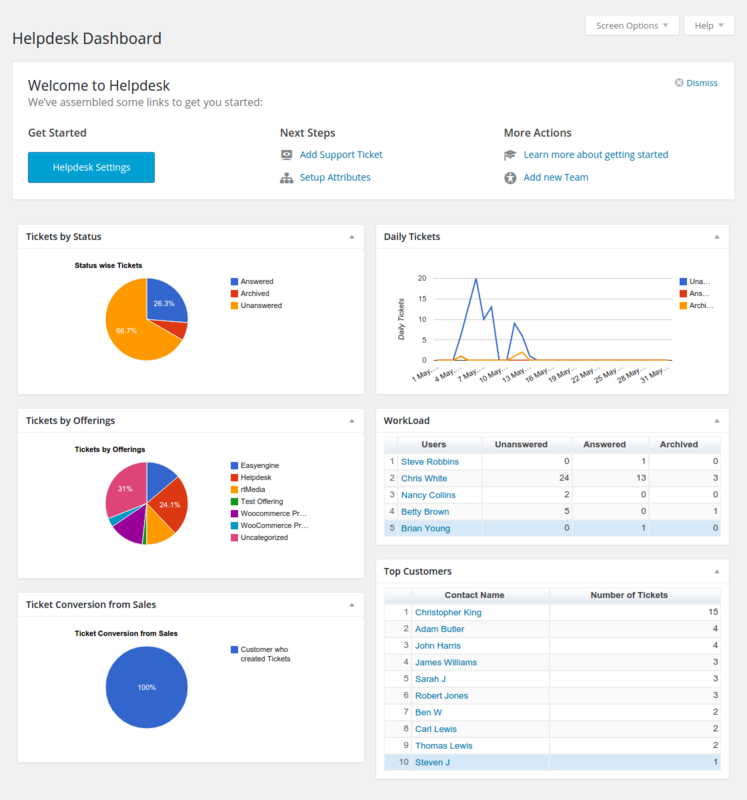 The welcome widget consists of quick links that helps you get started with Helpdesk. The links are for settings, adding support ticket, setting up attributes and adding teams. Shows the number of Unanswered , Answered and Archived tickets per staff members in a tabular format. 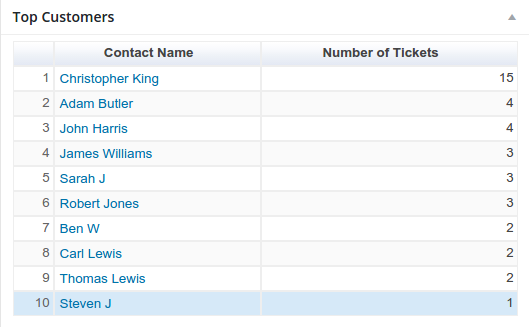 The dashboard presents you a quick reports of the tickets in the helpdesk system in various formats. These reports are presented in form of widgets, which can be activated or deactivated from the screen options tab on the top right of the screen.